From the gothic horror of Edgar Allan Poe to the literary brilliance of Lucia Berlin, here is our edit of the best short story collections. There are so many reasons to love short stories; not least their ability to immerse us in new worlds in the time it takes to commute to work, or the common themes that weave through anthologies to create a thought-provoking whole. Here, we’ve collated our edit of the best short story collections. From spine-chilling tales and funny short stories to literary masterpieces, these are simply not to be missed. This dazzling collection of short stories about women and their experiences in society is sure to shock and delight. Characters experience isolation, obsession and love in uncanny worlds where women become insects, men turn to stone and a city becomes insomniac. Blending the mythic and the gothic, this is an extraordinary collection. This highly anticipated collection of short stories is the first from the talented Wendy Erskine. Set in her native Northern Ireland, this collection features eleven short stories about the struggles of everyday people to lead ordered, simple lives in a world where tragedy can be just around the corner. Civilwarland is the first collection of short stories from the 2017 Man Booker Prize winner, George Saunders. In these stories, he takes a bleak but comic look at America in the not-so-distant future. Saunders is regarded as a master of the short story, making this collection simply unmissable. A master of the gothic and macabre; mysterious illnesses, insanity, murder and the supernatural abound in Poe’s short stories. This collection brings together some of his most famous tales, from The Tell-Tale Heart to The Fall of the House of Usher, with lesser-known gems. It is only after her death that the incredible works of Lucia Berlin are truly getting the attention they deserve. In this collection of 43 short stories, she gives an intimate insight into her chaotic yet beautiful life. This collection is introduced by Lydia Davis. Angela Carter is perhaps the Queen of Magic Realism. In this astounding collection, she takes classic fairy-tales we all know and love - Little Red Riding Hood, Puss in Boots, Beauty and the Beast - and turns them upside down, creating dark, sensual stories that you’ll need to be brave to read at bedtime. 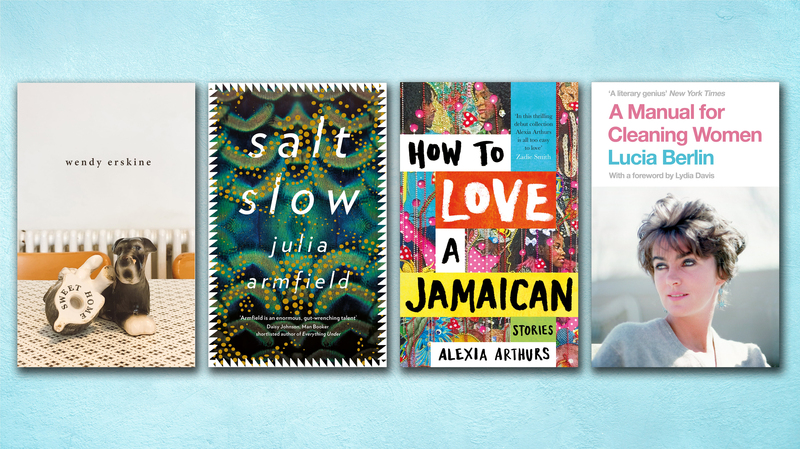 In her debut collection, Alexia Arthurs’ extraordinary short stories explore the lives and experiences of Jamaican immigrants and the families they leave behind. Her moving stories, including ‘Light Skinned Girls and Kelly Rowlands’, ‘Mermaid River’ and ‘Bad Behaviour’, are sure to leave a lasting impact. Originally published as Stories of Your Life and Others, 'Story of Your Life' from Ted Chiang’s first collection of short stories was adapted into the blockbuster Arrival, starring Amy Adams and Jeremy Renner, and each of the seven other stories included in this book are just as gripping. Chiang spent years working on these science-fiction short stories creating epic worlds that are beyond the imagination. Kate Clanchy, past winner of the BBC National Short Story Award, lays bare raw emotion in this moving collection of short stories about love and loss. Just as powerful as her poetry, this collection highlights Clanchy’s enormous talent. In the seven short stories that make up this collection, Haruki Murakami depicts the lives of men who for various reasons have found themselves alone. Fans of his work will recognise his wry humour on every page and for new readers, this collection serves as the perfect introduction to one of today’s most renowned writers. Part of the beautiful Macmillan Collector’s Library series, The Happy Prince & Other Stories is a charming collection of short stories written by Oscar Wilde between 1887 and 1891. The stories are fantastical, magical and sparkling with Wilde’s unique wit and personality. Beautifully illustrated, this collection is a great gift for friends and family. Roald Dahl’s stories for children are delightful and fantastical, with just the right pinch of deviousness thrown in. But in this collection of short stories for adults, things get a lot darker. . . Introduce yourself to a new side of one of Britain’s most beloved authors.